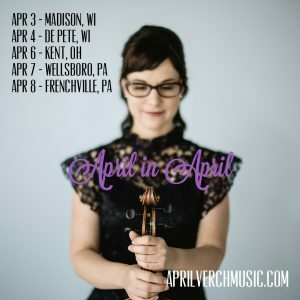 April Verch A Birthday Tour in the Midwest! A Birthday Tour in the Midwest! 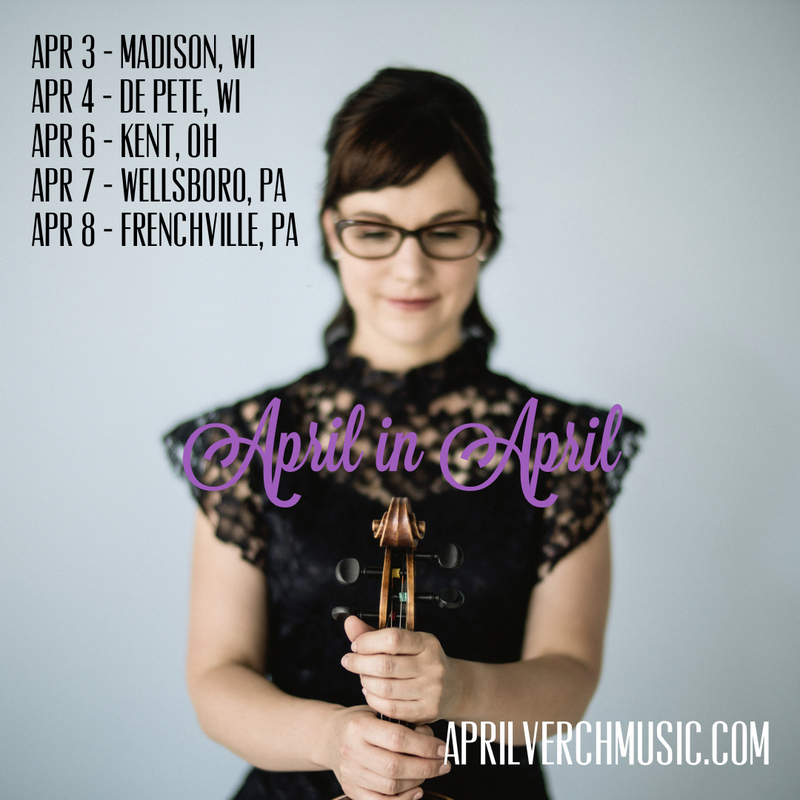 On April 7th I turn another year older, and this year, instead of one party, I’m throwing a whole bunch of them – in the Midwest! We’ve been working up some new material and are excited to share it with you! You don’t have to bring a card or a present, but if you want to, feel free :) Just kidding! We really would love to see you and that would be the best gift of all! Get the tour dates & details HERE.